Oh, Thelma looked amazing. She was a unicorn! 'I'm special now,' she cried out loud. And so, a star was born...Thelma is an ordinary pony who longs to be more. One day, she spots a carrot on the ground and comes up with a brilliant idea. She ties it to her head, just before a ski... read full description below. Oh, Thelma looked amazing. She was a unicorn! 'I'm special now,' she cried out loud. 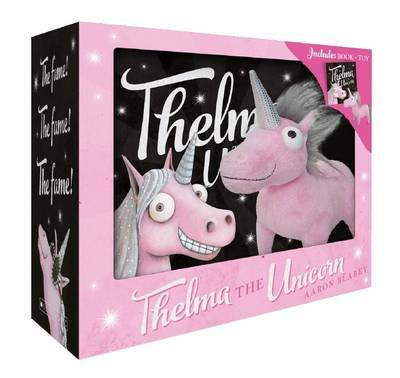 And so, a star was born...Thelma is an ordinary pony who longs to be more. One day, she spots a carrot on the ground and comes up with a brilliant idea. She ties it to her head, just before a skidding truck spills pink paint and glitter all over her. Presto - Thelma is a unicorn! Thelma quickly rises to fame, but does she really want all the attention? Or would she be happier as her old self again?